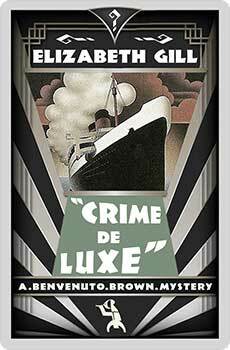 Benvenuto Brown is on the luxury liner Atalanta, heading for New York. His thoughts are on his forthcoming one-man exhibition, not murder – until a seemingly inoffensive old dear is found dead. Who could possibly have needed to murder poor Miss Smith? The nouveau riche Lord Stoke; the effortlessly alluring young widow Ann Stewart; Roger Morton-Blount, avowed Communist; or gorgeous Rutland King, screen star? Benvenuto Brown, in his final mystery, will need to sort muck from brass – and muddle from murder. What Dread Hand? was originally published in 1933. This new edition features an introduction by crime fiction historian Curtis Evans.